The Aghia Maria (Church of the Virgin), Ephesus. 5th century AD. The 260 metre long church was originally a Roman period basilica built in the 2nd century AD. 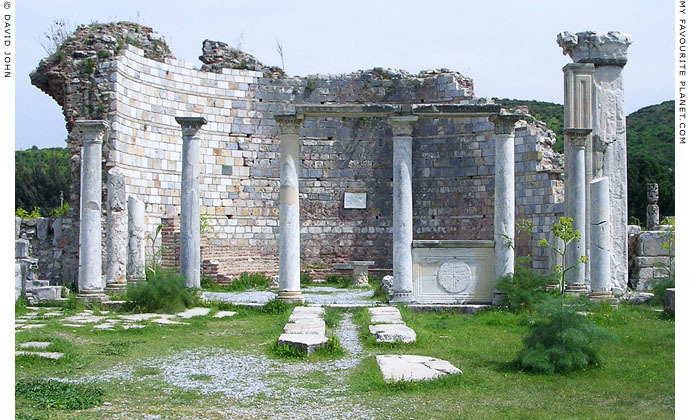 The Third Ecumenical Council, also known as the Council of Ephesus, was held in Ephesus in 431 AD during the reign of Emperor Theodosius II, and is thought to have been attended by as many as 250 bishops from several Christian territories. The Council, which may have been held at this building, decided, among other theological issues, on the the title of the Virgin Mary as Theotokos (Greek, Θεοτόκος; literally, God-bearer or Birth-Giver of God), the Mother of God. This church may have been named in Mary's honour at the Council or soon after, and is thought to have been the first church dedicated to her. It was rebuilt in several phases during the 6th century AD. A model of the Aghia Maria (Church of the Virgin), Ephesus. The model looks quite weather-beaten after being exhibited in the open for many years. It is now in the Museum for the Visually Impaired in the Lower Agora. 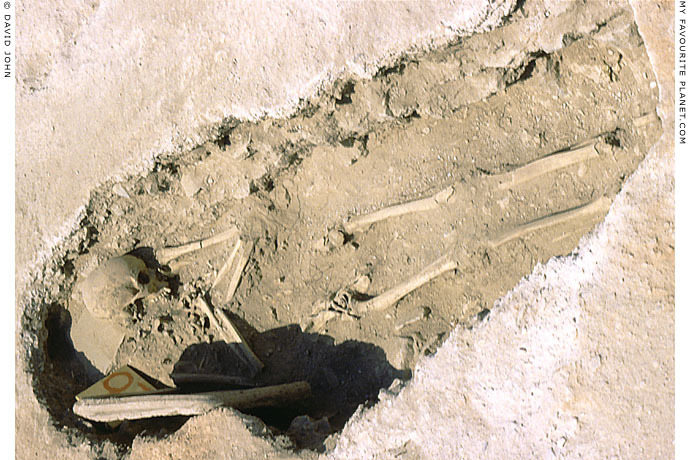 excavated by German and Austrian archaeologists in 1985.